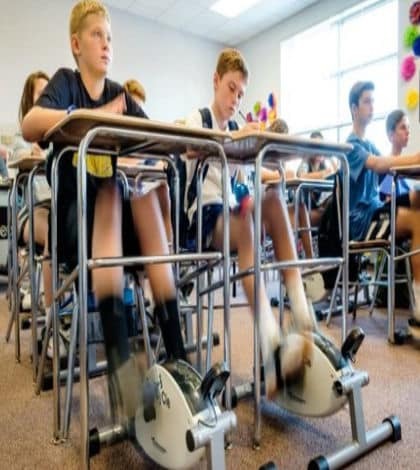 Martin Middle School in North Carolina, USA has introduced pedal power into their classrooms to get children to focus more. Bike pedals have been put under the desks as a way to give students energy.Because students are sitting still all day long they start to get restless and start tapping their desks and their feet are moving about. Having the quiet bike pedals under the desks allow students to use up that energy, and at the same time focus on class.